interested in how communities address this issue by using low cost plastic recycling systems. communities address this issue by using low cost plastic recycling systems. On the first day of the conference, national and international speakers presented their shared perspective on: plastic waste and its impact on ecosystems, the Precious Plastic community, low-cost machinery and production of plastic recycling machines, the use of plastic recycling machines in education, material studies and innovative products; and related entrepreneurship. 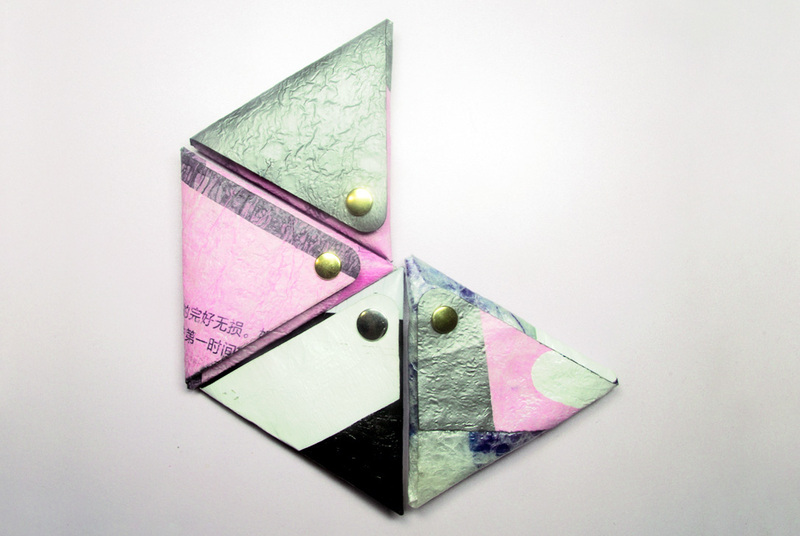 The parallel exhibition 'Plastic Fantastic' (exhibition website) featured local artists and project works exhibited in NYUAD's Project Space that relate to the theme of re-use of plastic. On Day 2, an Introductory Workshop by members of the Precious Plastic community was given on creating a wallet out of one-time used plastic bags (example image 1, 2). The workshop was followed by a field trip with mangrove clean-up activity, and an Abu Dhabi city tour (Sheikh Zayed Grand Mosque visit). Both, clean-up and city tour, were reserved for conference speakers, helpers, and invited guests only. Open spaces were announced during the conference. Inspired by a workshop given by Mattia Bernini, Precious Plastic Eindhoven, in March 2017, a team of NYUAD students, staff and faculty from NYUAD’s Engineering Department started to work on a first set of machines. Since then the project has grown every day, and in December 2018 Precious Plastic NYUAD is proud to announce the inauguration of their new workspace: NYUAD’s Plastic Recycling Research Lab (located on NYUAD campus, B2 basement, underneath the D2 Dining Hall, next to SERCO’s waste management site). NYUAD Institute (website) in a series of public events brings people together to experience vitally new ideas and discuss pressing global issues. The Institute presents academic conferences, research workshops, public lectures, conversations with authors and artists, films, and co-sponsors exhibitions in both Abu Dhabi and New York. Find more information about previous events here. NYU Abu Dhabi, Department of Engineering (website): Engineering at NYUAD is designed to create technological leaders with a global perspective, a broad education, and the capacity to think creatively. A distinctive element of our undergraduate programs lie in the integration of design and innovation in every year of the curriculum: students enjoy a learning environment conducive to creativity, which is at the heart of tomorrow’s technological innovations. Engineering research at NYU Abu Dhabi crosses the boundaries of traditional engineering disciplines and encompasses broad interdisciplinary areas that embody key characteristics of our age. The faculty are involved in new and emerging technological fields, such as bioengineering, nanotechnology, microfabrication, smart materials, and cyber security. The Lab for Narrative Technologies and Spatial Installations (www.ntsi.info) is an interdisciplinary Design Research Lab in the Engineering Department of New York University Abu Dhabi. NTSI Lab’s researchers envision systems and spaces and create and deploy innovative objects through design and engineering tools. The focus lays on projects in the realm of Experimental Sustainable Designs, Future Technologies, and Social Compositions & Communal Infrastructures. NTSI Lab’s Principal Investigator Prof. Felix Hardmood Beck works with his team on the development of different plastic recycling machines, and is interested in using recycled plastic as a ressource for prototypes, as well as the development of new and better machines, materials and upcycled products. Since 2017 the NTSI Lab has sponsored several positions for internships and Student Research Assistants that relate to the field of plastic recycling. In Fall 2018 Prof. Beck initiated NYUAD's Plastic Recycling Lab that he is currently implementing into NYUAD’s waste management system. NYU Abu Dhabi, NYU New York, and NYU Shanghai form the backbone of a fully connected global network. As one of the three major hubs in the global network, NYUAD creates a unique capacity for faculty and students to access the assets of the entire university system. As a research university with a fully integrated liberal arts and science college NYUAD draws students from around the world, and prepares them for the challenges and opportunities of our interconnected world. NYU Abu Dhabi equips students for leadership in all arenas of human endeavor. It fosters curiosity, creativity, and critical reflection, and stimulates advanced research. The NYUAD Institute is a major research center. Research is integral to the undergraduate experience at NYU Abu Dhabi, and it will also drive the University's graduate programs.